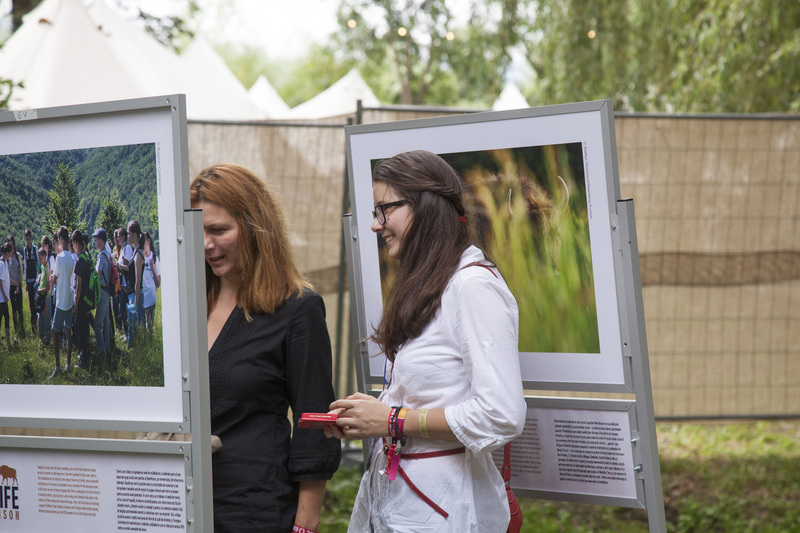 Photo exhibition of the Life Bison project at the Awake Festival in Romania. They say a picture tells a thousand words. This autumn a visually stunning Romanian photographic exhibition presented the full story of Rewilding Europe’s ongoing bison reintroduction project in the Southern Carpathians. 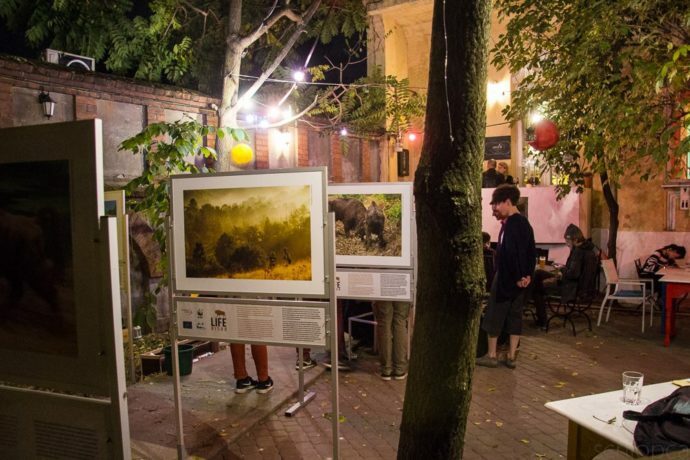 The exhibition featured at the Awake Festival of Music and Culture in the Transylvanian village of Gornești in September, and in the Romanian capital Bucharest in October. The aim of the exhibition, which presented dramatic photos from a range of Romanian and international photographers, was to introduce viewers – especially those from the younger generation – to the bison comeback and wild nature of the Southern Carpathians rewilding area. 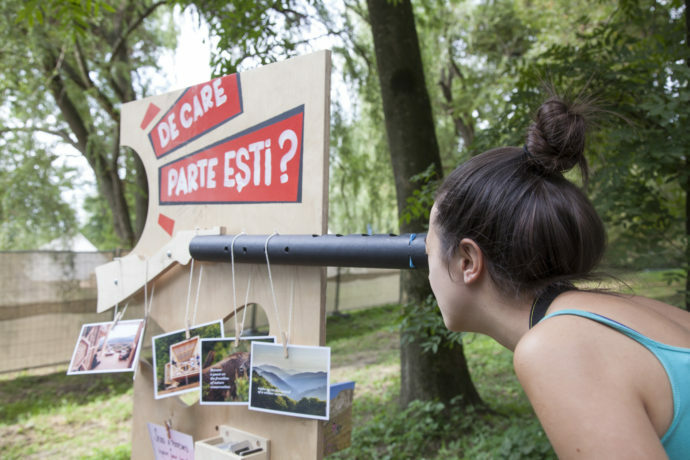 By kindling a sense of curiosity and fascination, it will hopefully lead to greater support for the reintroduction, and encourage more young Romanians to become interested and involved in conservation. In April 2017, a new group of nine European bison safely arrived at Southern Carpathians rewilding area. Having been hunted to extinction in Romania around 200 years ago, the European bison has recently made a wild return to the country. 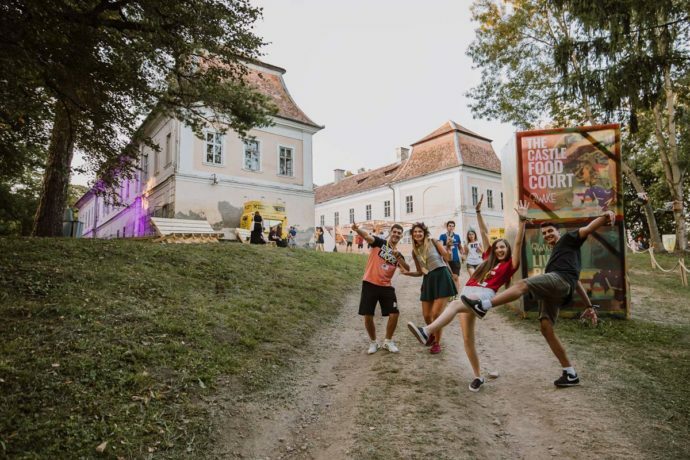 Since 2013, Rewilding Europe and WWF Romania have been working together in the Southern Carpathians rewilding area to restablish a free-roaming population of this iconic animal. The first two bison transports took place in 2014 and 2015, close to the village of Armenis. In June 2016, a third bison transport and release took place as part of the European Commission-funded LIFE Bison Project, with a fourth transport of nine animals taking place in April this year. Three bison calves were born into the reintroduced herds this year. 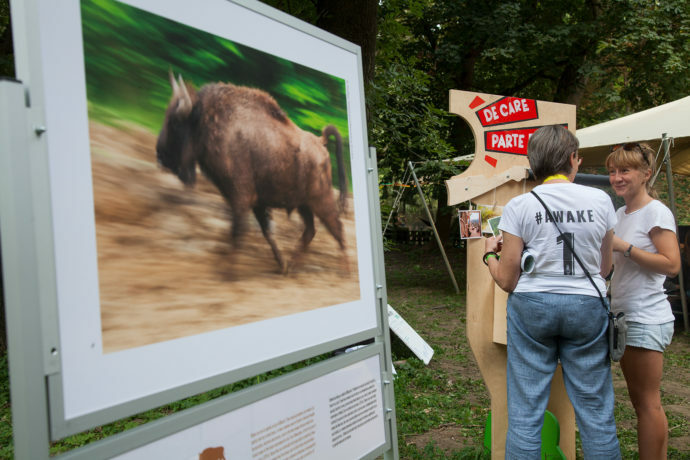 Photo exhibition of the Life Bison project in Bucharest, Romania. Promoting wildlife comeback and developing nature-based economies are both key objectives of Rewilding Europe. 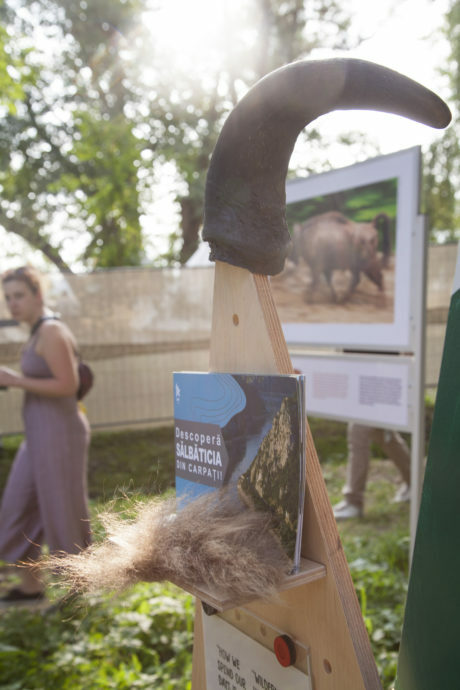 As well as depicting the reintroduction of the bison, the exhibition photography also showed how the return of this majestic animal is helping local Romanians by driving nature-based tourism, community development, education, ecological research and technological innovation. 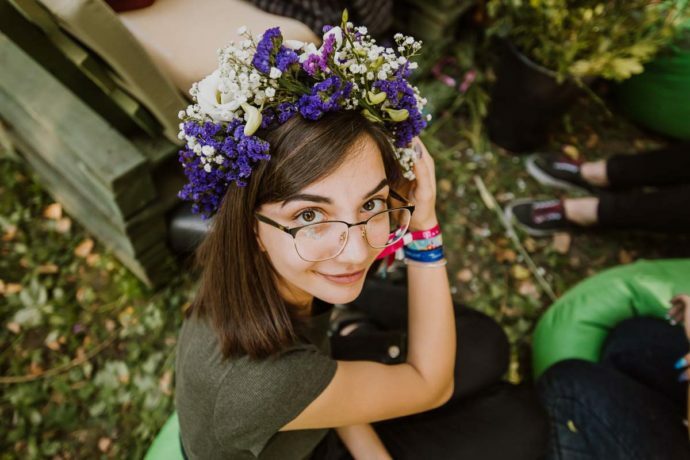 Rewilding Europe and WWF Romania are now working hard to involve young Romanians and the local community in Armenis in a number of environmental and cultural projects related to the bison reintroduction. 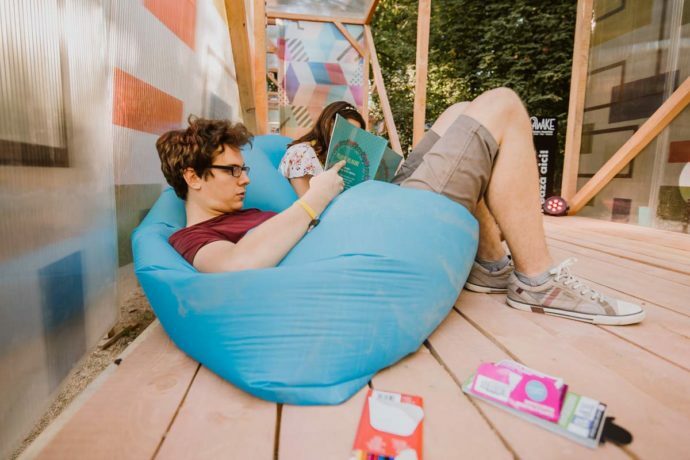 In Armenis an abandoned cultural centre has been converted into a research station, which doubles up as a community space. A tourist information centre has also been converted and now features a number of innovative digital installations based on the bison project. 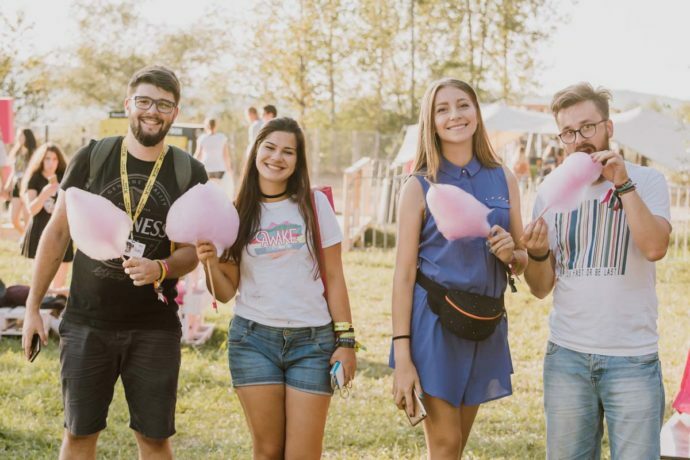 Nature-based tourism in the Southern Carpathians rewilding area was given a boost when the recently launched European Safari Company began offering opportunities for tourists to track reintroduced bison. 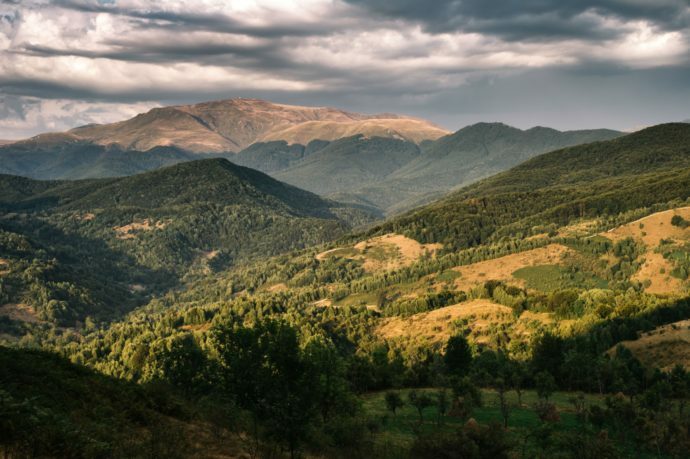 The Southern Carpathians rewilding team are now working to restore “sălașe”, or old mountain huts, with a view to including them in the local tourism infrastructure. The Bison Hillock observatory occupies a position between forest and open space, reflecting the movement of reintroduced bison between the two habitats. 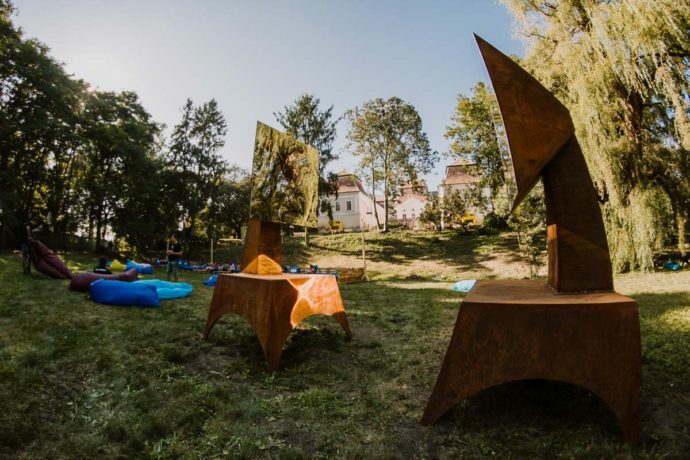 Since August, visitors to the Southern Carpathians rewilding area have also been able to make use of a new, state-of-the art wildlife observatory. 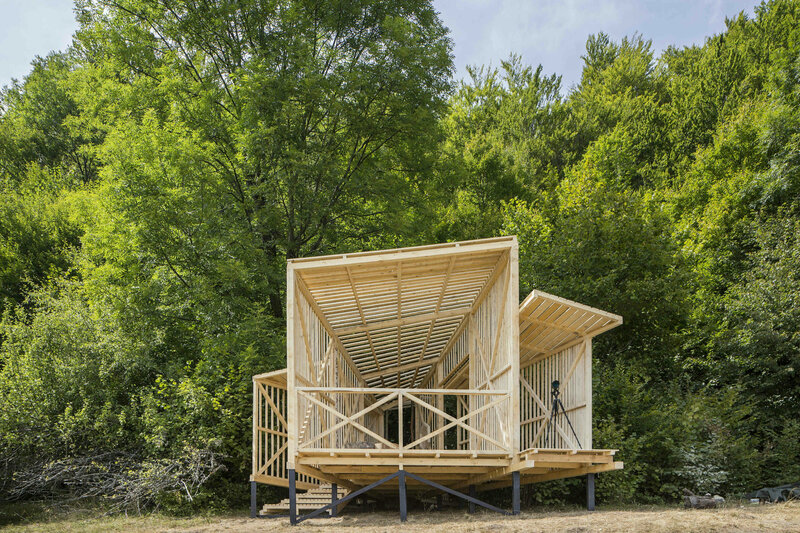 Located at the Bison Hillock, this was constructed during a 10-day, on location workshop organised by WWF Romania and Italian architectural outfit Camposaz. 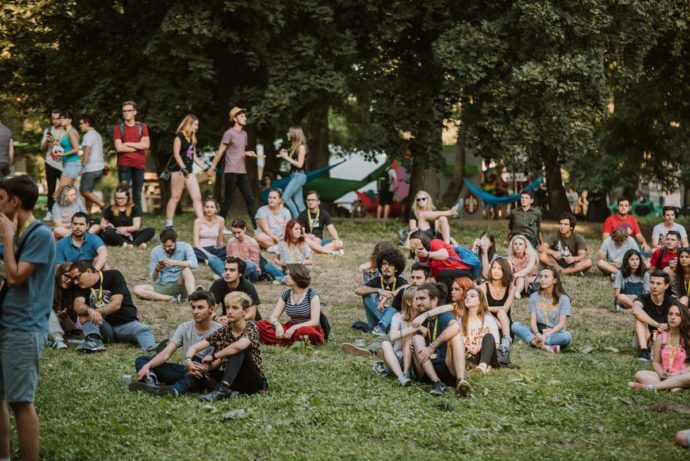 Following on from the Awake Festival, the bison exhibition travelled to Bucharest. Here it was presented to the architects, designers and other collaborators who supported this workshop. 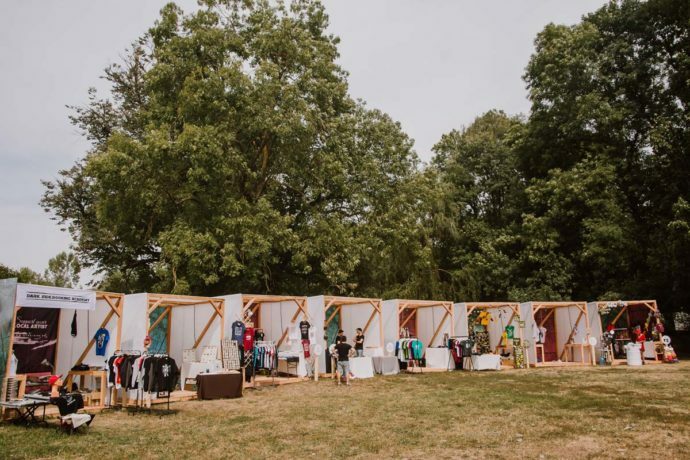 The group were also able to relive the observatory construction process through a mini-exhibition of sketches, photographs and items used in the camp. Afterwards a short question and answer session was organised to generate ideas regarding future infrastructure projects at bison rewilding sites. 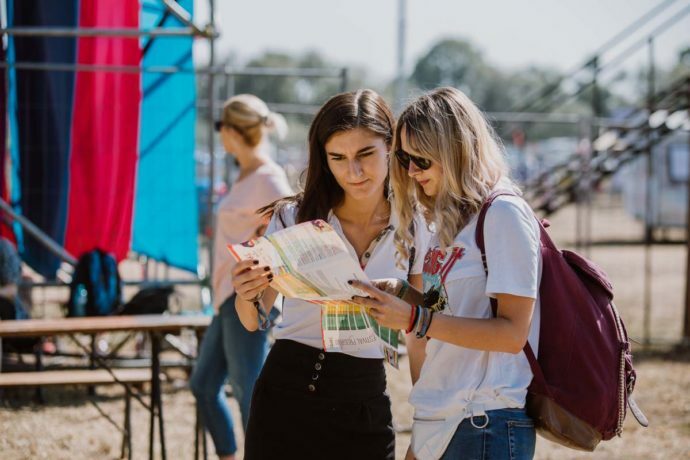 The bison exhibition will continue its journey through the cities and countryside of Romania until 2021. New photographic content will be added each year to showcase the evolution of the bison reintroduction project. 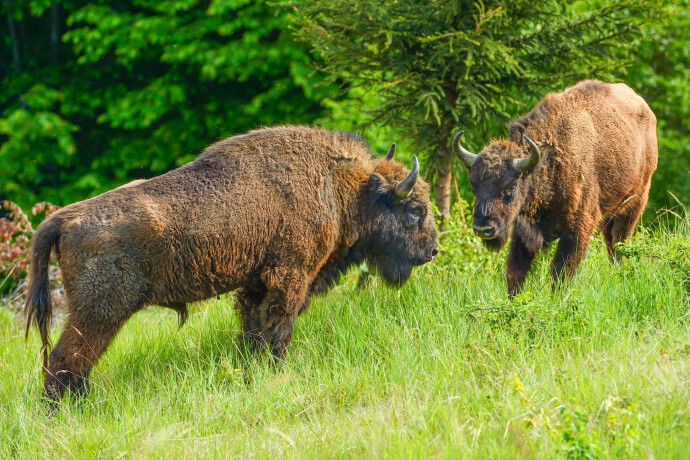 Those interested in seeing the reintroduced bison in the Southern Carpathians up close should visit the European Safari Company website here. Book a tour of the Bison Hillock here. The spectacular scenery of the Tarcu Mountains, in Romania's Southern Carpathians. 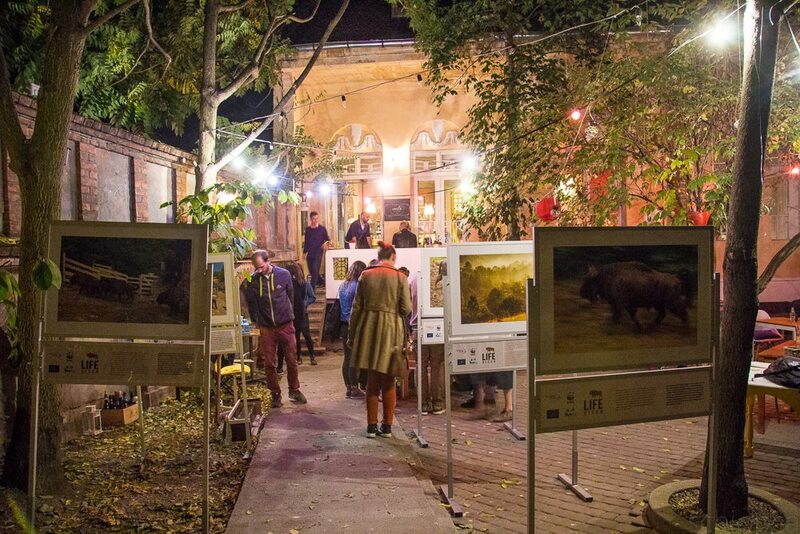 Bison exhibition in Bucharest, Romania. 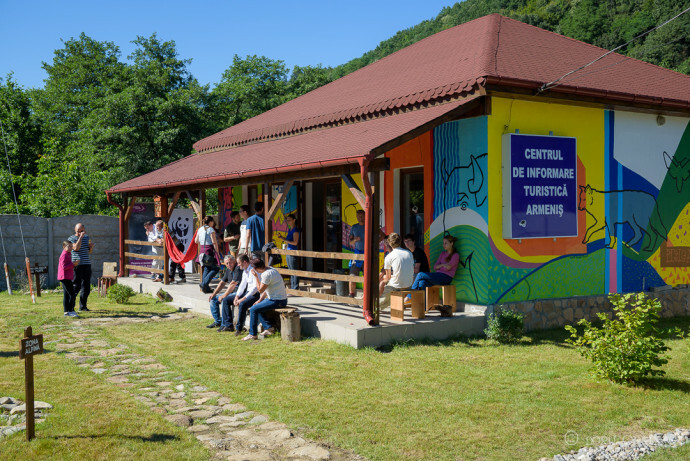 Remodeled and redesigned Bison Visitor Centre in Armeniș, Țarcu Mountains, Southern Carpathians, Romania. European bison in the Țarcu Mountains, Southern Carpathians, Romania.